Like a lot of people I know, I suffer from nights of restlessness. I constantly toss and turn, trying to find a comfortable position or the "perfect" angle for my neck. And, by far, one of the most important things to me when falling asleep, is the temperature. I'm all about the cold so this recent hot weather has been affecting my sleep even more than usual! And we all know that a good night's rest is critical to a productive day!! 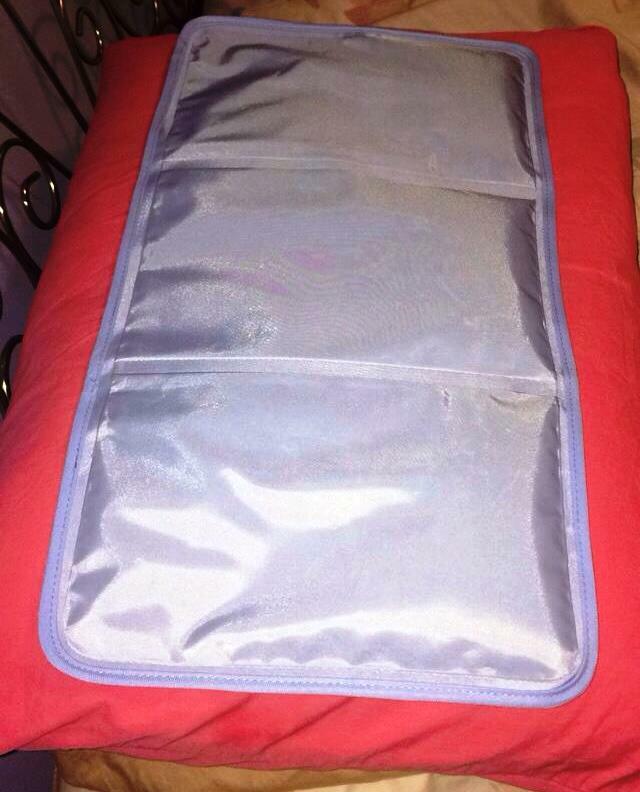 These are huge all huge reasons as to why I was so excited to try the PolarGel Pillow Mat! This light and portable gel mat has been a great addition to my nightly sleeping habits. Especially in the summer months, it feels so soothing. During the day, I stick the mat in the refrigerator; it folds easily and only takes up a small amount of room! Then, before bed, I unfold the mat and slip it into my pillow case. From there, I can rest the cool pillow against my head, neck or back. The mat is thin and the gel contours so you get maximum comfort! I also love the size of this mat at 12"x24." It covers my entire pillow and stays secure in the pillow case. It also stays cool for such a long time! Even if it takes a while for me to fall asleep, my head is always resting on a COOL pillow. This product really is awesome for nightly use and I know that myself, as well as multiple family members, will benefit from it. The PolarGel Pillow is really such a luxury to have during the summer, or when suffering from hot flashes, headaches or migraines. I really think that I'll find even more uses for it in the near future. Perhaps for outside use or to combat a fever! I highly recommend this product to anyone at any age! So now you can experience that "flip the pillow over to the cold side" feeling any time! How do you ensure a good night's rest?